Blade length : 82.0 cm or 32.28 inches. Width at the hamachi : 3.12 cm or 1.22 inches. Shape : This blade is wide, Osuriage-mumei Tachi with Sori and very long Kissaki. Jitetsu : Textured Itame and Mokume and little Masame mix, with Jinie attach. Hamon : Ko-nie based, Suguha and Gunome mix. There are Nijuha and Sunagashi and Kinsuji in Ha. Boshi is Suguha and Midarekomi mix. At Bushu Mitake shrine, one sword which is called Hojumaru is quite well known sword. 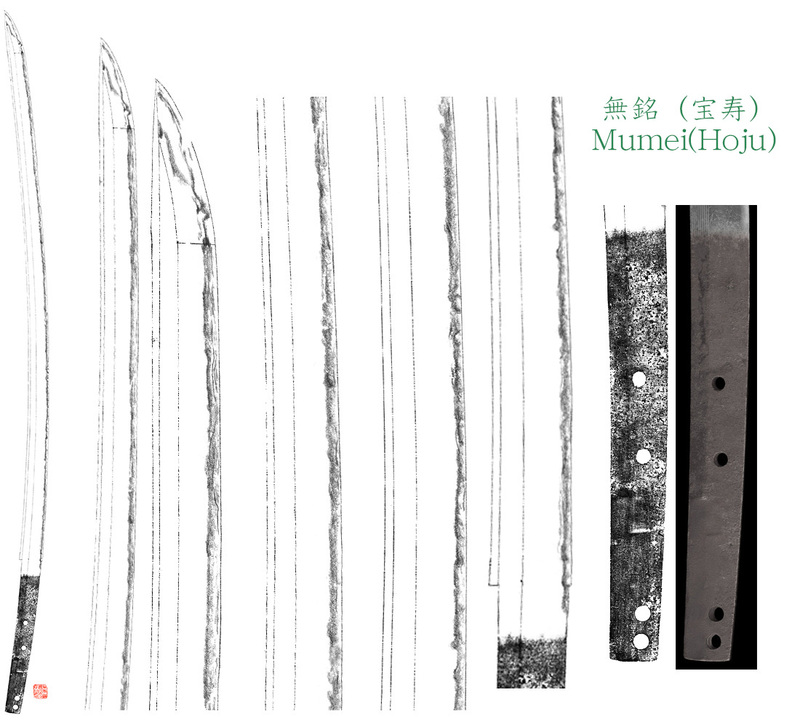 This blade has very long and massive shape, and it’s Nanbokucho period style. 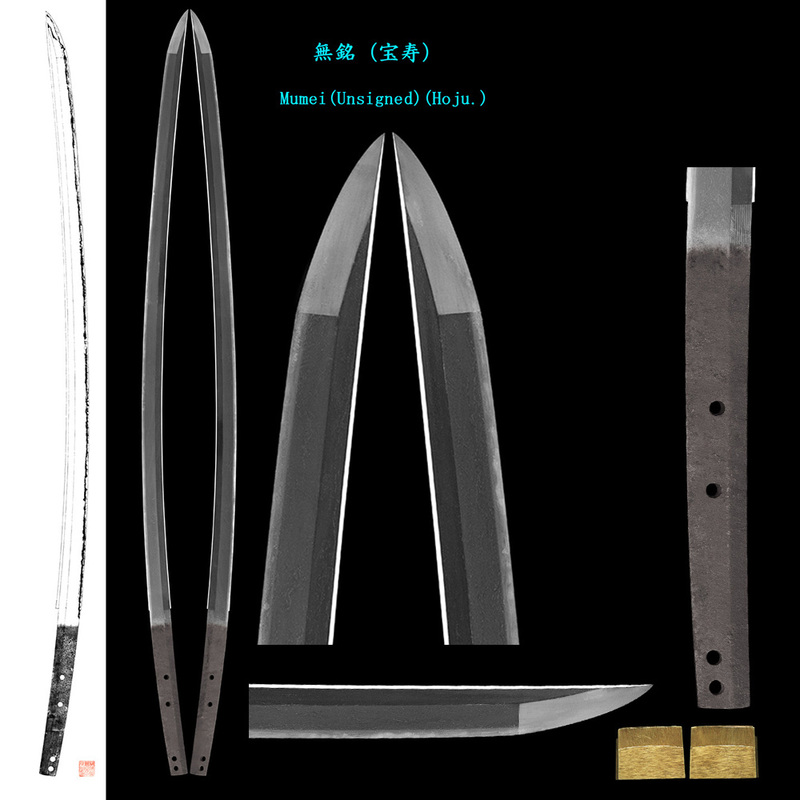 This blade has typical Hoju blade’s characteristics, textured Jitetsu and glossy Hamon. This blade has little rough skin because this blade is very old. Historical background : In 1368, Ashikaga Takauji became the first shogun of the Muromachi shogunate. Price (credit card) : JPY 600,000-.